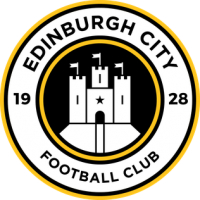 Shaun Rooney marked his return from injury with his fourth goal of the season but a late Liam Henderson equaliser sealed a replay for Edinburgh City. 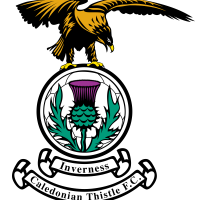 ICTFC will now take on City next Tuesday at the Tulloch Caledonian Stadium for a place in the Fourth Round, with the winner facing East Kilbride at home in the next round. ICTFC boss John Robertson made 3 changes to the line-up from last week’s 3-3 draw with Queen of the South with Rooney, Austin and White coming in for Oakley, Austin and Trafford. The first chance of the match fell to Liam Polworth after he was played in by Nathan Austin. Austin was then played in by Joe Chalmers after 15mins but his effort was tipped over by Antell for a corner kick. Sean Welsh had an effort blocked and put behind for a corner kick after a Polworth corner came to him in the box. Caley Thistle had the lead just before the break as Shaun Rooney rose at the back-post to meet a corner from Liam Polworth as the ICTFC right-back marked his return from injury with his fourth goal of the season. Austin then was presented with a big opportunity to make it 2-0 after a great attack from the Caley Jags but he couldn’t get the correct contact as City got clear. In the second-half, Coll Donaldson connected with a driven ball in by Tom Walsh but his effort was wide. John Robertson decided to change things as he brought on George Oakley for Nathan Austin before the hour-mark. Sean Welsh had a couple of chances as he unleashed a shot from about 25 yards but his effort was over the bar and he had a free-kick just outside the box on the 67th minute mark but it was over too. Jordan White made way for Daniel Mackay while Charlie Trafford replaced Shaun Rooney for the final ten minutes. City almost had their leveller with 15 minutes to go as Smith cut inside and hit a powerful effort but Ridgers saved it well. Liam Polworth then set George Oakley up for a chance to kill the game but the Englishman’s effort was deflected wide. City then got their leveller with four minutes left on the clock, a free-kick from Thomson was floated into the area and, after a mix-up in the Caley Thistle backline, the ball fell to Liam Henderson for a tap-in. The sides will now face each other next Tuesday at the Tulloch Caledonian Stadium, with the match being played to a winner.